If you would like to find out more information about the Bay Business Group visit baybusinessgroup.org. Tell us what the Bay Business Group is all about? 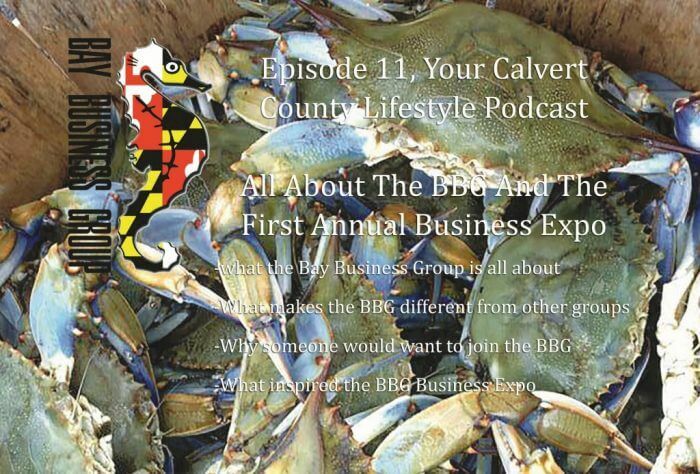 The Bay Business Group (BBG) is a dynamic non-profit organization representing locally owned small businesses on Maryland’s western shore of the Chesapeake Bay. Wounded Warriors, Boys & Girls Club, Chesapeake Beach Christmas Parade, End Hunger Dragonboat Festival, BBG Scholarship Fund, etc. What makes the BBG different from other groups? The BBG not only provides its members with educational seminars and networking opportunities, but also instrumental business skills and inspiration to successfully grow their businesses. Why would someone want to join the BBG/become a member? Listings in BBG e-newsletter, announcements at meetings, etc. Wednesday Oct 5th (6-8pm) at Dunkirk Volunteer Fire Dept.